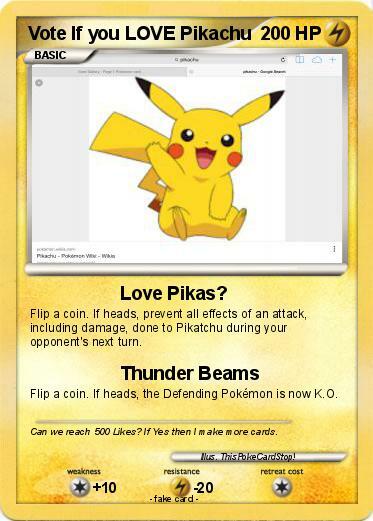 Attack 1 : Love Pikas? Flip a coin. If heads, the Defending Pokémon is now K.O. Comments : Can we reach 500 Likes? If Yes then I make more cards.